The Africa Business Initiative (ABI) is the leading advocacy-driven initiative representing America’s top companies doing business across Africa. The initiative focuses on market access and trade facilitation, financing, and engagement with the governments of the United States and African nations. ABI works with the U.S. business community to develop legislative policies that foster foreign direct investment (FDI) in Africa. It also provides tailored guidance to American companies doing business in African nations and introduces U.S. companies to the continent’s vast economic opportunities. Under ABI’s leadership, U.S. corporate representatives involve key members of Congress, the administration, and foreign governments in strategic dialogues to promote private sector engagement. The Corporate Council on Africa is a key resource for conducting successful business in Africa. We work closely with governments, multilateral groups and businesses to improve Africa’s trade and investment climate and to raise the profile of Africa in the U.S. business community. The Corporate Council on Africa (CCA) is a nonprofit, membership-based organization established in 1993 to promote business and investment between the United States and the nations of Africa. CCA is the premier American organization devoted to U.S.-Africa business relations and includes as members more than 160 companies, which represent nearly 85 percent of total U.S. private sector investments in Africa. CCA’s members range from America’s smallest to largest corporations. They represent a diverse pool of industries from Africa's most promising sectors, including agribusiness, capacity building, energy, finance, health, ICT, infrastructure and security. 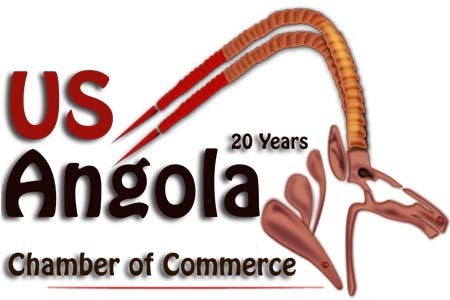 U.S.-Angola Chamber of Commerce - The U.S.-Angola Chamber of Commerce (USACC), founded 24 years ago, is the oldest, and indeed the only, organization devoted exclusively to the promotion of U.S. trade and investment in Angola and Angolan economic development. USACC assists its members to identify and respond to business opportunities; hosts Angolan officials and private sector representatives visiting the United States; supports the development of the Angolan private sector; sponsors trade missions to Angola; represents the views of the private sector to officials in both governments; keeps members informed about changes in laws, regulations, policy and economic conditions; organizes trade and investment seminars in Angola and the United States. USEA supports the mission of the World Energy Council, "to promote the sustainable supply and use of energy for the greatest benefit of all." USEA has organized over 80 cooperative energy partnerships between U.S. companies and organizations and their counterparts in developing and transitional economies in Latin America, Africa, Asia, the former Soviet Union, and Central & Eastern Europe. Focus areas have included petroleum exploration, production and transportation; natural gas exploration, production, and transportation; and electric power production, transmission, distribution, and utilization.